Don’t be intimidated by £10 (10 Pound Macallan Bar), the Beverly Hills Macallan-dedicated bar located in the Montage upstairs from Scarpetta restaurant. Sure, it has fanciness the average drinker can’t fathom like Lalique touches throughout the bar and glassware, the world’s most expensive whiskey ($64,000 for 2 ounces of a Macallan 64 Years Old) tucked in the back safe and water for ice imported from Scotland. Scotland! And naturally you have to make reservations to get in. But after you shrug off that insecurity of “Do I have enough money for this?” you’ll be able to sit back and enjoy a truly luxurious drinking experience that every scotch-loving Angeleno should add to their drink bucket list. 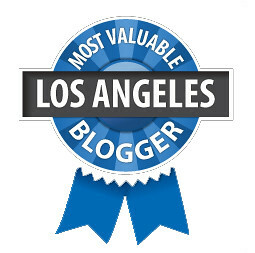 It’s #74 on my LA bucket list! Personally, Macallan scotch is one of my favorites but amazingly this was the first time I’ve been to £10 as I, too, was scared off by that $50 drink minimum (per person), that reservations requirement and the fact that, well, it’s in Beverly Hills. So not my scene. But as I said, once I got over it (my visit turned out to be hosted but I didn’t know that til the end), it was all quite lovely and I was left with some warm, wonderful memories. Mmm, that Jimmy Mac cocktail. You make a reservation (no, it’s not a members-only bar) so that the visits are staggered and the bartenders can therefore spend quality time with each guest at this intimate, 35-seat venue. Important because there’s a whole chilling-options presentation just to go over the FOUR different ways you can chill your scotch. They bring a cart over to your table and show you a bowl filled with whiskey soapstone cubes, ice balls laser-etched with the £ sign, ice balls made from that imported Scottish water and Kold-Draft cubes (which take five hours to make a bucket of). Afterward you peruse the oak-sheeted drink menu deciding on whether to go for any of the Macallan (Sherry Oak, Fine Oak, Old and Rare) or Highland Park scotches — which range from the “£10” 12 Year Sherry Oak Macallan to the limited edition Macallan Royal Marriage (Will & Kate’s) of unspoken value — or ease into drinking with a specialty cocktail ($25-$35). There are also other fine spirits available as well a Krug wine list, but come on. You’re in a scotch bar. 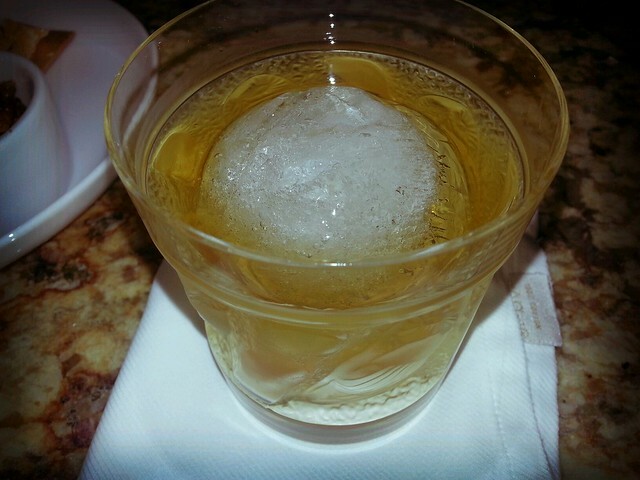 Highland Park 18 Year with Highland Park ice ball. Now, the specialty cocktail menu has had the same drinks since the bar’s opening last year and there are no plans to change it. But those are more of an offering for folks who don’t know where to begin. If it’s your first time at £10, you should go with the Jimmy Mac cocktail, the only scotch-based one on the menu. The few tears you may shed over the thought of mixing Macallan 18 with something other than a couple drops of water will be long forgotten after the first sip of this cocktail. Made with the 18, Averna, Benedictine and orange bitters, it’s a complex and richer Manhattan. Would You Like Some Scotch With That Ice? For your second drink, get a scotch. If you’re overwhelmed by the choices, the bartender will gladly make suggestions. But out of the chilling options, the imported Scottish water is the way to go. Newbies and tourists opt for the ice ball with the laser-etched £ as it makes for a great photo. But the Highland Park ice ball is made from the same water used to make the Macallan scotch so it contains the same pH levels and “it doesn’t fight with your scotch, it marries it nicely,” according to our bartender Wahid. Those who would rather drink their spirit neat, the whiskey stones are perfect for bringing the temperature down 1 to 2 degrees without diluting or adding anything to your scotch. But if you want to do it like the hard-core scotch drinkers do, simply order a water back and drop in a few drops of water yourself. For sure, £10 Macallan Bar isn’t a bar I’d frequent. My wallet wouldn’t let me. But it’s definitely on my radar for special occasions, where to show off to out-of-towners and when I feel like treating myself. If you love scotch lots and are seeking a singular scotch-drinking experience, you can’t do much better than indulging at £10 Macallan Bar. Well, other than jetting over to Scotland, that is. Fortunately, this hallowed temple of Macallan can be reached via taxi. I admit it. I giggled every time I typed out the word “balls.” But yes, def a must-do bar.